NHFW CTFW Bridal Show Expos I. and II. * This field is required Please choose which show(s) you would like to vend at. The Expo Bridal Shows would attract people that are premarital, post marital, holidays, night out on the town clientele. This event can be attracted to people that are seeking upscale attire for special occasions - prom, night out, dates, brunches. 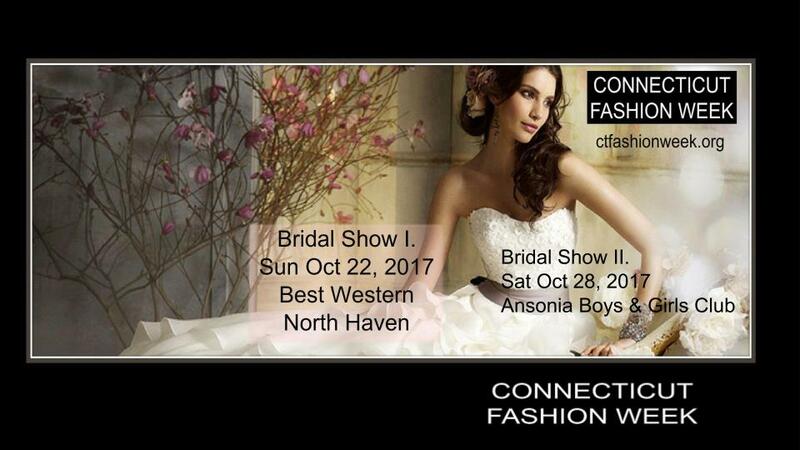 Service: Connecticut Fashion Week Events ("Producer") agrees to provide to the exhibitor signed below ("Exhibitor") space at the Bridal Show Expo I or II (the "Show") according to the terms and conditions listed below and for the hours determined by the Producer. Unless otherwise provided below, for Bridal Show I. tables are provided. They are not provided for Bridal show II unless additional fee or bring own table. Producer will use its best judgment in promoting and staging the Show, and may for any reason change the date, times and places of the Show by giving Exhibitor five days notice before the Show. Producer may also change the floor plan or booth assignments in Producer’s sole discretion, and Producer does not guarantee any exclusive right to any exhibitor in any product category except that no 2 similar vendors be in attendance at same event unless they decide to share a table. Exhibitor may not assign, sublease, or otherwise share the booth or its rights under this agreement. Fees and Cancellation Policy: Exhibitor shall pay the total fees set forth below to Producer. All amounts due to Producer under this agreement are unconditional obligations of Exhibitor and shall be paid to Producer as described herein and are nonrefundable unless due to natural disaster or credit issued for inclement weather. Door Prize: Each vendor is requested to provide the Show a prize to be given to a bride at the show. Prize must be a standalone prize valued at a min. of $10.00. The prize may not be a discount but should be a tangible item nor have strings attached requiring recipient to do business with you and will be given away at the discretion of the Producer. Brides List: Producer agrees to email Exhibitor a list of brides registered at the show 48 hours prior to event. Such list of brides and all other names and information collected ("Brides List") at the Show are the exclusive property of Producer and use of either is only granted to each paid Exhibitor for their business’ marketing. The Brides List shall not be used for any other purpose. If Exhibitor sells, gives, or in any other manner distributes or discloses the Brides List or any part thereof to another company, person, or other third party, Exhibitor agrees that legal restraints actions may occur. Exhibitor also agrees to pay all legal fees and other expenses incurred by Producer, as well as all damages suffered by Exhibitor, due to any violation of this agreement. Setup and Removal: Exhibitor may load in only during time(s) specified by Producer. Exhibitor’s booth must be entirely set up and staffed by 1-hour the day of the Show, no later than half hour. Exhibitor’s display or other items may not protrude into the aisles and staff may not encroach on surrounding vendors space. Exhibitor agrees not to break down their booth until after the show closes no sooner thatn half hour prior to show ending and to remove all belongings and other items, including trash, from its booth at the end of the Show. Liability: Producer’s liability is limited to the actual money paid by Exhibitor to Producer hereunder. In the event a Show must be postponed due to fire, natural disaster or for any other reason, the monies paid will be applied to a rescheduled date/location. If the Show is cancelled all monies will be refunded or applied toward a future Show and will be at the Producers sole and absolute discretion. Exhibitor agrees to obtain liability insurance for its rental space and property used in the Show. Exhibitor is responsible for any liability arising out of its participation in the Show, including product liability, accident or injury, and hereby agrees to indemnify Exhibitor for and hold Exhibitor harmless from the same. If Exhibitor does not stay within the boundaries of its booth, Producer may immediately remove Exhibitor from the event, Exhibitor will forfeit any money paid and any amount still due, and will not receive a Brides List. Entire Agreement: This written agreement represents all understanding between Producer and Exhibitor and no oral representations have been relied on that are not written on this form. All changes to this agreement must be written and signed by the Producer. Bridal Show Policy: Exhibitor shall conduct business in the best interest of all CTFW Bridal Show Expos participants and agrees to comply with all requests of the Producer. Exhibitor shall comply with all state and federal laws, including all local and municipal fire regulations. Producer reserves the right to prohibit any conduct or display deemed by the Producer, in the Producer’s sole and absolute discretion, to be inappropriate or not in the best interest of the Bridal Show. Exhibitor is solely responsible for its property and releases Producer from any responsibility of liability for loss or damage to Exhibitor’s property. Due to space limitations at the Show Venue, we must limit the number of vendors in the show. We will be limiting vendors per category to a maximum of 5 vendors, no 2 similar names unless you decide to team up. If your category is listed below, unfortunately that category is FULL and not available. Vendors will be accepted and booth space will be assigned on a first come first served basis and will only be held with payment via credit card, mail delivery, cash in-person or paypal. If a vendor pays before you do, it is first come, first serve and there are future events. 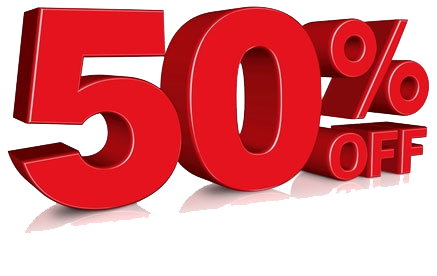 Please Choose Your Vendor Category to register* This field is required You get 50% off the 2nd show if you register for both events! Make sure you get permission to ensure both slots are available for your brand for this option.